Unquowa Repertory Theatre is now accepting submissions for UN-Charted, New Works Festival. The Festival will take place this July, 50 miles from Manhattan, in Fairfield, CT. Unquowa Repertory Theatre is a new, non-profit, professional theatre company in the town of Fairfield, Connecticut. Our mission is to bring together the highest quality writers, actors, designers, composers and lyricists – both established and emerging – and give them a welcoming destination for collaboration and creation. UN-Charted is a New Works Festival dedicated to giving playwrights, composers, librettists and lyricists an opportunity to have their work performed by professionals. Selected writers will work daily with a director and company of Equity performers, as well as a music director, should the piece be a musical. A stipend, and transportation from NYC are provided for each artist selected. Writers who do not live in the NY Metro area should still apply as financial aid for transportation or housing may be available. Submitted projects should be works in development and not have had a professional production prior to the UN-Charted Festival. We will consider both original and adapted works, providing that the rights to any material not in the public domain have been granted in writing and a copy has been included with the applicant’s materials. Final decisions for UN-Charted 2017 will be made by the end of April, 2017 when all applicants will receive an email either thanking you for your submission or inviting you to present at UN-Charted. 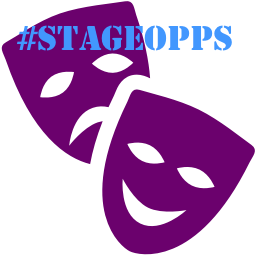 The application deadline has been extended to March 7th(till 11:59 pm) for #StageOpps subscribers. Don't forget to email specialoppscode@gmail.com to get the special code for this month's Special Opportunity! Eligibility: Capital Stage is particularly interested in plays that fulfill our mission to bring bold, thought-provoking work to the region. Plays must be full-length in any genre: comedy, drama, musical, etc. Translations, collections of one-acts, children’s plays and any play that has received a full-scale, professional production prior to submission are not eligible. Plays that have had a workshop, reading or non-professional production are still eligible. Only one submission per playwright is allowed each year. Eligibility: All plays must use the word "Zoe" in the title ("Zoe's Room," "Guitar Lessons with Zoë," etc.) Selected plays usually run 5-10 minutes. (No minimum. 15 minute max.) Cast size: 2-10 actors (3-6 are encouraged). All characters are played by adults. Writers may submit more than one script. There are no premiere requirements. Directors are encouraged to cast underrepresented actors (POC, trans folks, etc). Writers may leave character descriptions blank, supply general info or suggestions, or state specific requirements the director must follow when deciding which actors to cast. Dialogue may be in any language, but scripts will be selected with consideration for our primarily English-speaking audience. Ableist language is common in contemporary writing, and while its use is usually inadvertent, we encourage the use of more inclusive language. Other forms of inadvertent derogatory language are also discouraged. We understand language is complicated, relative, and always changing. Categories: Comedies and plays featuring underrepresented characters (women, queer folks, etc) are encouraged. All genres will be considered. Starlight Mountain Theatre is casting its 2017 season of six Broadway musicals, to be performed in repertory. Shows include Seven Brides for Seven Brothers, Disney’s Beauty and the Beast, Guys and Dolls, Little Shop of Horrors, and Sugar (the Some Like it Hot musical). Project Description: Starlight Mountain Theatre is a Summer Stock Theatre Company in its 18th season, located 55 miles north of Boise, in Garden Valley ID. Red Tape and Walkabout Theatre are looking for a Prop Designer for a devised show that is already in rehearsals and will perform 3/22 thru 4/16. Load In and Tech Week is 3/13 thru 3/21. Eligibility: Looking for someone to jump right in and start right away. Stipend and expectations on further contact. Tuacahn Center For The Arts inspires the human spirit through professional world class family entertainment and an unparalleled artistic experience that matches the majesty of our canyon. Eligibility: Assists Cutter in the creation of patterns. Cuts fabric based on patterns supplied by Cutter. Makes patterns for facings and linings based on original pattern supplied by Cutter. Grades pattern supplied by Cutter to other sizes as needed. Supervises Stitchers and advises on methodologies for made to order garments and fitting alterations. Attends fittings to assist and take notes for Cutter. Prepares alterations from fittings for Stitchers. Manages time, including that of any crew members, in an effective manner. Performs other duties as assigned by Cutter. The Shakespeare Theatre of New Jersey seeks an experienced Sound Technician for our 2017 season. Basic proficiency in Vectorworks, Microsoft Office, QLab, and audio editing software (Cubase or ProTools recommended) is expected. Must be proficient with Yamaha digital audio consoles, as well as a variety of analog and digital audio equipment. Eligibility: Experience with lighting equipment, especially ETC lighting consoles is a plus. Must be comfortable working at heights around 25 feet and be able to safely lift 50lbs. The ability to stay focused through long work hours, communicate well, follow directions precisely, and manage multiple projects at one time while keeping a positive attitude are absolute musts. The New York Society Library invites applications from women playwrights, composers, and musical performers, or writers who focus on theater, ballet, art music, and opera, for grants toward a one-session performance of new or recent work.